Hello Friday! This week was a quick one. A massive snow storm was supposed to hit us on Tuesday night, but all we received was rain. I felt like I was transported back to the deep south, where the prediction of a mere snow flake shut down the city. I didn't have to shovel my car out of any snow, so I was happy that once again the ol' weather crew was wrong. Favorite meal: French Bread Pizzas. This dinner idea is so simple. 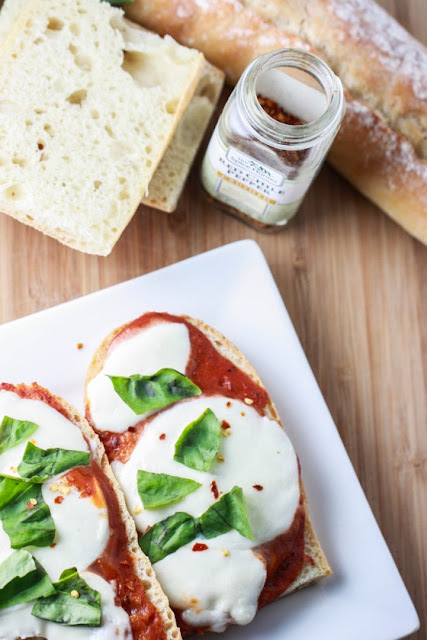 French bread, tomato sauce, fresh mozzarella- pizza in minutes! I love how easy this meal comes together, but it still maintains a homemade pizza taste. 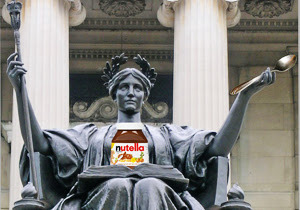 Favorite funny: Nutella Gate. The media attention this story garnered is too ridiculous. I didn't steal dining hall food nearly as much as I should have (especially considering the price of Columbia's meal plan), but I think that's because they didn't offer too many tempting options. Nutella though? I missed out. Favorite look: I'm sure that this outfit looks just as cute from the front as it does from the back. 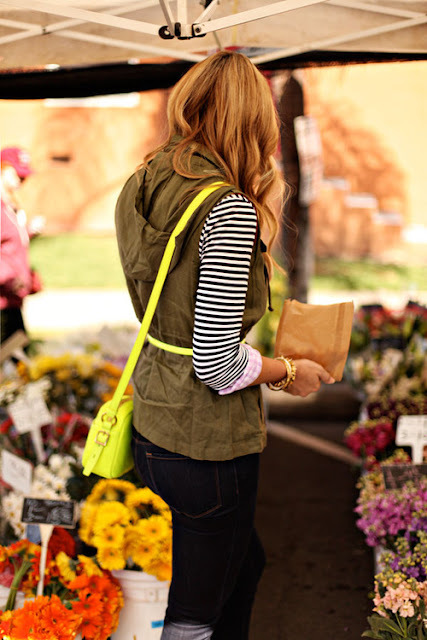 I love the neon trend, but I prefer it worn as accent pieces like this gal's purse and belt. I also like how she mixes stripe and gingham patterns for her top. Cute. Favorite snack: Peanut Butter Popcorn. I'm obsessed with peanut butter. Creamy, non-natural peanut butter, specifically. I once bought natural peanut butter at Costco in an effort to jump on the all-natural food bandwagon. Such a terrible idea. Never buy a new food in economy size. I'm not exactly sure how hydrogenated oils harm the body, but they make peanut butter delicious, so make sure to buy PB with it. 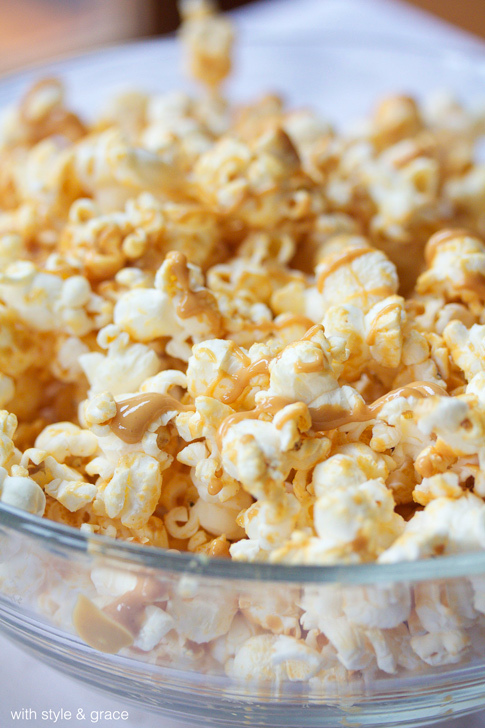 Then drizzle it over your popcorn. 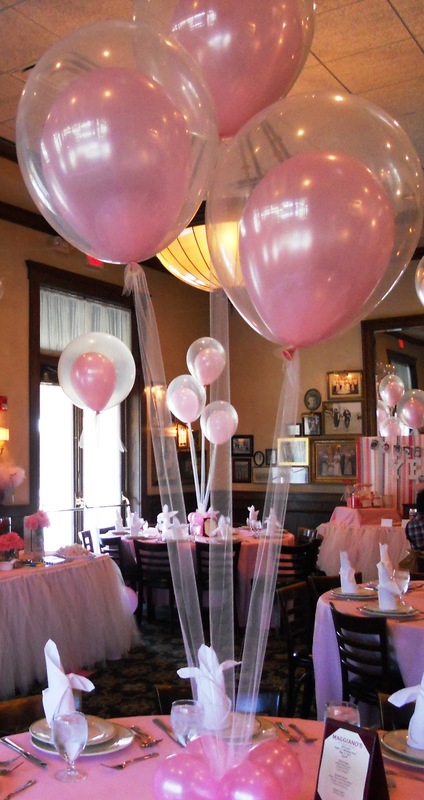 Favorite craft: Double Stuffed Balloons with Tulle Centerpieces. I love party decorations. I don't consider myself the most creative when it comes to decorating, but this idea is totally doable and instantly elevates your standard party ballon. 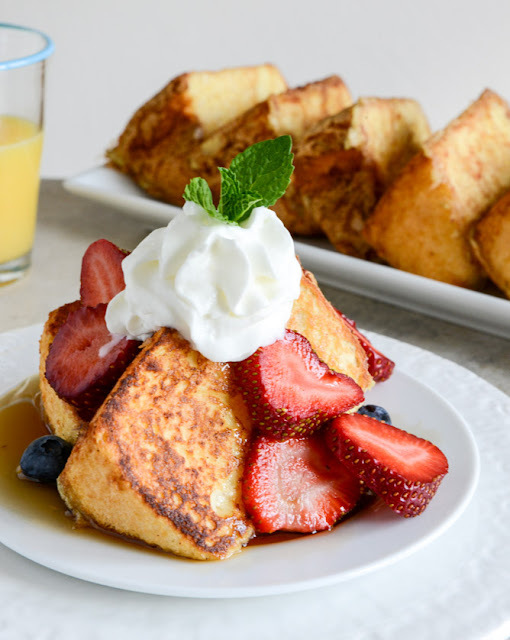 Favorite indulgence: Angel Food Cake French Toast. I love new twists on old classics. I prefer my cake to be rich and sweet, so I typically pass on angel food cake. Using it in place of bread, however, is such a great idea. The outside is crispy and golden, but the inside is light and sweet. Maybe I would enjoy angel food cake better if it was always served with a side of maple syrup. Favorite read: "23 Most Relatable Hannah Quotes". I know, the term "read" is used loosely this week. If you're a female in your twenties and you're not watching HBO's Girls, then you should be. The last two episodes have been slightly meh, but this show is so cleverly written. I don't relate to all of these quotes (Hannah is a rather eccentric character), but I can understand the feelings behind most of these thoughts. So funny. 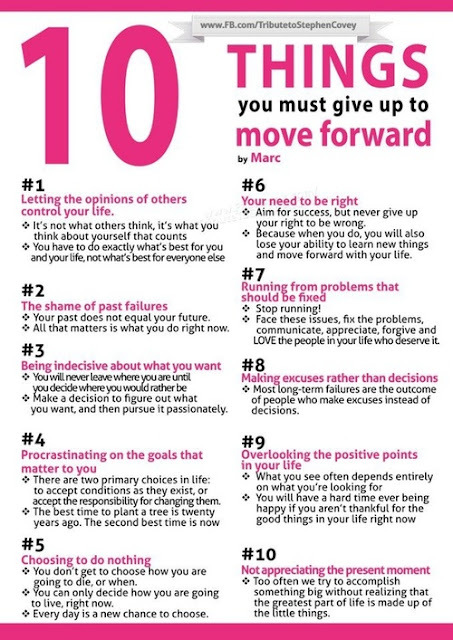 Favorite Inspiration: 10 Things You Must Give Up to Move Forward. 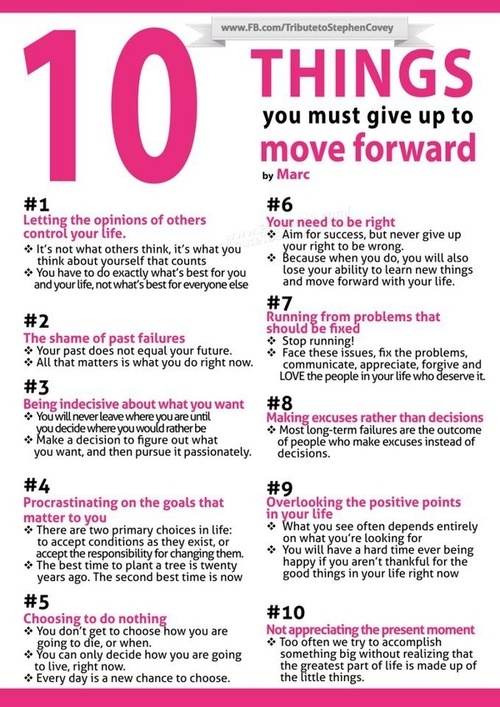 Some food for thought for you all. 5 minutes active recovery at 8.6 then 1 minute fast at 9.2. 8.85 miles total. It was hard! Favorite pup: sleepy pup. I won't ever be that person who shares a bed with their dog, but I appreciate those owners who are kind enough to allow this privilege. Very sweet. SO many clever things in this post! love it!! !